Happy Valentine’s Day from Priory Press Packaging! When you work with Priory Press Packaging, you can be assured that we aim to be Eco-friendly in all aspects of producing and manufacturing your packaging in order to minimise environmental effects. Have a read at our environmental statement to see how. 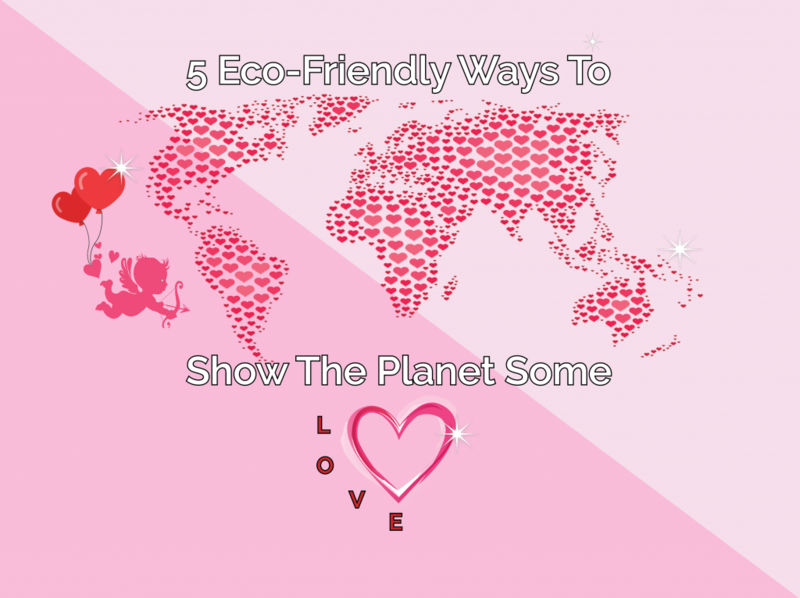 Here are a few easy-peasy ways to join us in being more loving to the planet this Valentine’s Day! Before the Flood is a fantastic documentary staring Leonardo DiCaprio (making it even more fantastic) which focuses on climate change (available on Netflix). These two hours of intense facts and footage shows you what is currently happening, what will happen and what we can do to prevent it. Another favourite is “A Plastic Ocean” (also available on Netflix) staring journalist Craig Leeson, free diver Tanya Streeter and an international team of scientists who cover alarming truths about plastic pollution. For reading, try “Ready? Set? Green!” by Graham Hill. Or if you’ve got some packaging in mind for your product or you’re considering changing to Eco-friendly packaging, have a read at our environmental statement which explains our Eco-friendly processes! Our company is proud to have a strict waste management process in-house – even our printing plates are recycled! 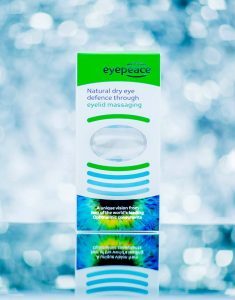 You can be reassured that we are putting an ethical focus on all stages of packaging. We would also recommend our lovely customer’s “The Happiest Gratitude Journal” which is perfect for encouraging a more positive outlook on life and this 30-day challenge can coincide with an Eco-challenge – give it a go! Take public transport as much as possible. You will have a much more relaxed journey not having to worry about traffic, directions or catching up with emails. You can also have a much more relaxed journey knowing you’re reducing CO2 emissions every time you choose not to drive yourself. Priory Press Packaging reduces emissions by using renewable sources such as wind power and we have also installed low LED lighting! Those hard-working hours in-house don’t have to be hard-hitting on the planet. Be Eco-friendly by using a reusable coffee cup or a Tupperware container for your coffee or takeaways. An example of this is our favourite bamboo reusable cup which is perfect for keeping that beverage hot and the sea plastic free! 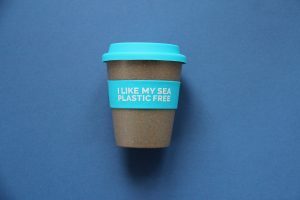 Touching on this within “A Plastic Ocean,” although bringing containers to your local takeaway seems a little bit ‘extra,’ it’s saving the company money and it saves the planet from plastic too – a win win. Our food packaging is fully recyclable, biodegradable and compostable after use by the consumer. We have previously trialed compostable window patch film and have now adopted it for some of our customers. Furthermore, we use natural vegetable-based inks which we use on all packaging! Priory Press Packaging have adapted our processes and packaging to be environmentally friendly, not just because it’s a necessity for some of our customers, but an amenity for all of our customers. 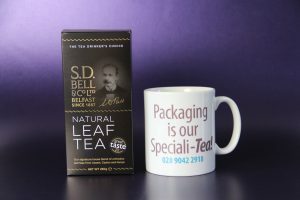 Our packaging board is FSC certified and is manufactured from sustainable stocks. FSC is an independent, non-governmental, not-for-profit organisation established to promote the responsible management of the world’s forests. What’s that like for reassurance!? 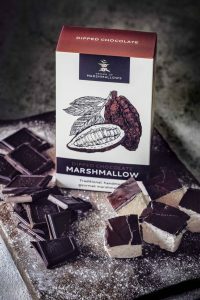 Just one example of our customer’s products that contain Fair Trade contents include “Grown Up Marshmallows” Check out their website for all things mallow! 5. Plastic Bags And Straws? No More! Plastic bags are made with petroleum, a finite resource which we could possibly run out of in the future. As shown in “A Plastic Ocean,” plastic bags and straws also tend to end up tangled around or swallowed by sea life. There are plenty of inexpensive metal straws and reusable bags which will last a long time so you can’t use price as an excuse. At Priory Press Packaging, we have been plastic free for over 40 years and we’re not stopping there. As a society, we are always looking for more ways to better ourselves every day. Some of us are put off the idea that being ‘ethical’ could be too drastic for our current routine. However, we hope that our tips and tricks can help you ‘think green’ this Valentine’s. Whatever you do, we hope you give the planet some loving too.